Latest Technology from the Inventor of the Electric Turret Punch Press. Pyramid Base Design -Stability at maximum tonnage. Muratec “Green” Machine -Environmentally friendly and power efficient. Latest Process Integration Options -Reduce post processes with the latest machine and tooling technology. 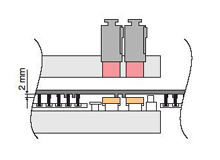 Supports tapping, forming, marking, deburring and various automation options. Intelligent Control -New touch screen user interface assists the operator and increases machine productivity. Muratec’s original “C” frame is designed to separate the frame and table base. Even at maximum tonnage, vibrations are not carried over to the table delivering increased precision and high quality parts. 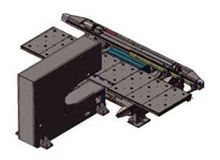 A wide frame structure supports the 2.5M X-axis stroke table. 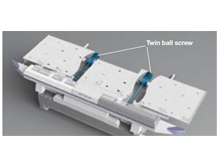 Twin Y-axis balls screws are controlled by synchronized servo motors. Both have been engineered to realize improvements in stability and processing accuracy during high-speed movements. 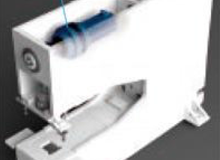 Driven by Muratec’s goal of constant improvement, the ram servo motor has been designed parallel with the press frame. This provides a compact press frame generating less stress, greater rigidity, improves hole quality and tool life. Using a mechanical link between the ram and the punch holder provides a positive push and pull motion during the entire punching stroke. 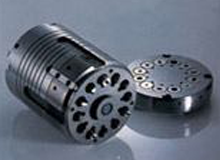 The design has been field proven for its high strength, precision and simplicity of tooling. 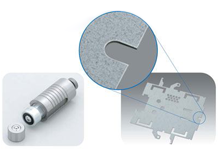 It provides the most economical tooling solution in the industry. Also available is high end guided tooling with steel strippers providing precision production and longer tool life. Optimum control of RAM speed leads to fast and accurate forming of the highest quality, with work very minimal distortion. 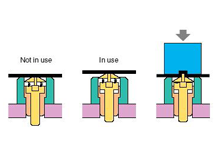 Forming with thrust from below does not lift the work, allowing extrusion and other high-precision forming processes. 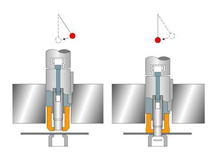 The Indexable Varitool (Option) comes in a 12 tool configuration and allows all tools in the Varitool to be indexed 360°. Each tool is programmed like a separate auto index station. Any X or Y offset is automatically compensated for by the control.